This award-winning sculptural lamp is as versatile as its geometry is unique. 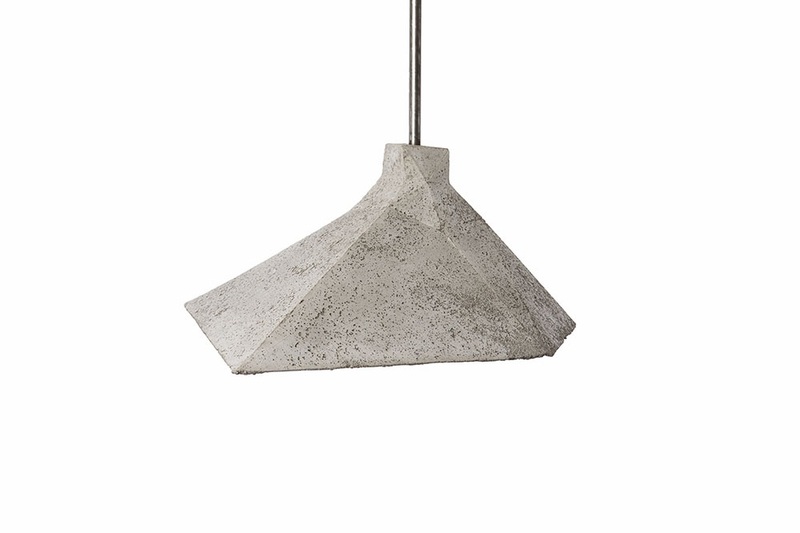 Keeping with the LALAYA signature style of thin, pock-marked cement, this light fixture is available as a pendant, a table lamp and a floor lamp. 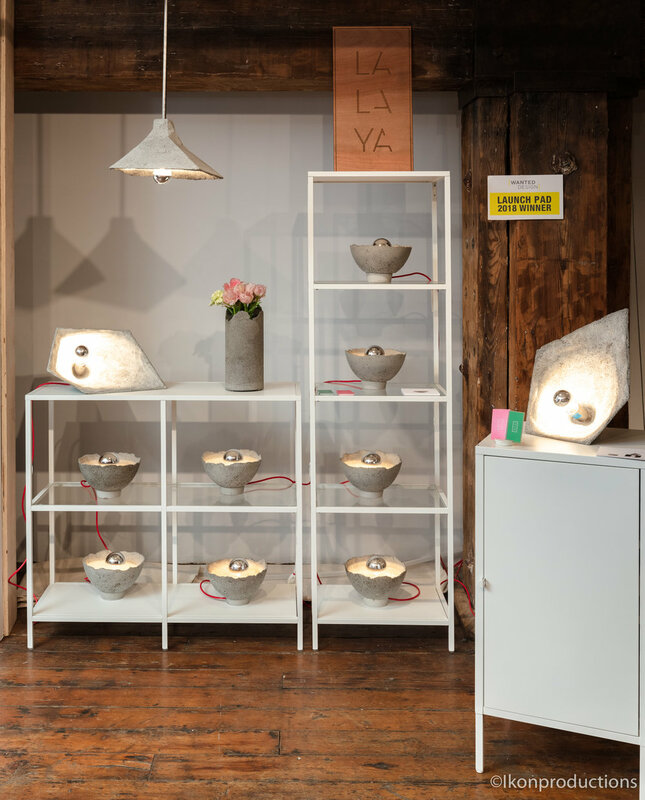 The table lamp version can rest on three of its faces giving it a surprisingly different look in each position. In its floor lamp iteration, the SHADOK lamp shade is perched on top of an elegant steel trapezoid pyramid finished with a dark patina. This luxurious six foot lit sculpture is perfect for an airy entrance way or as a conversation piece in your living room. The SHADOK floor lamp is made to order. Email us at info@lalayadesign.com for more information or additional pictures. Studio photography by Alejandra Higuera.